This course is for people wishing to take the next step on from the basics of Photoshop who are particularly interested in working with graphics. You will be encouraged to be creative: once you have mastered the techniques, this product is only limited by your creative potential! 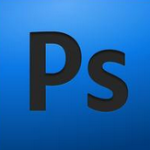 Participants require a basic understanding of Layers, the History Palette and the main tools in Photoshop. To find out more call us on 0208 2031774. Would you like to talk through your Adobe training options? Please give us as much information as possible so that we can give you the best answer. Really good and clear instructions given throughout.